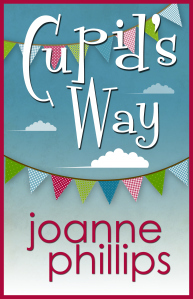 As anyone who has read Joanne Phillips’s previous novels will expect, Cupid’s Way is a slick, competent, well-paced story. This out-and-out romantic modern comedy features a sizeable cast of interesting characters of all ages, as well as Evie Stone, the engaging heroine approaching her thirties. As in The Family Trap and Murder at the Maples, I particularly enjoyed the elderly characters – this age group is too often neglected in modern fiction but celebrated so well here. The main action takes place in Bristol, a new departure for Phillips, whose previous novels have been set in Milton Keynes and Shropshire. Bristol is a city I know very well, having lived and worked there, so I could easily picture the Victorian terraces of the kind that inspired the novel’s title, and the contrast between the city’s architecture in every style from medieval to modern. Cupid’s Way is actually the name of the street, by the way – though Cupid also puts in a notional appearance in the romances and relationships that pepper the book, as counterfoils to the will-they, won’t-they story relationship of Evie and Michael, the CEO of the construction firm bent on demolishing the street that is home to Evie’s beloved grandparents. 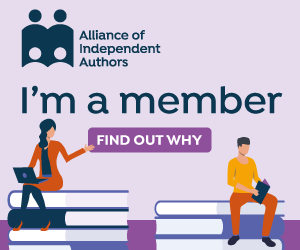 But there are more layers to the story than romance and building projects: it’s also about learning to recognise and embrace one’s own identity and being true to oneself. A rewarding, upbeat and easy read for those who enjoy light-hearted romantic fiction with a real feel-good factor.